While CBS isn’t winning any awards for timing on how long it took to drop that surprising Supergirl news, the network definitely gets some props for their strategy involving the TV future of soon-to-be-former NCIS star Michael Weatherly. 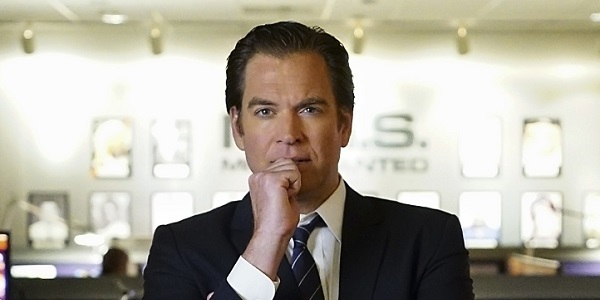 Next week will be the actor’s last episode as Agent Tony DiNozzo (as a regular), but fans no longer need to worry about not having Weatherly around on the primetime schedule, as CBS put in a series order for his new drama Bull. No longer will Michael Weatherly be merely a cog inside the ensemble machine, for he now has a series that is named after his character! It’s the dream! As Dr. Jason Bull, Weatherly will be at the head of a trial consulting firm, serving as the master of puppets – puppets meaning jurors, witnesses, accused parties and attorneys – and he uses his expert intuition, a plethora of data and a knowledge of psychology to figure out what makes all of those people behave the way they do. And you know what I think? I think he’s going to get just about everything absolutely right, and everyone is going to “ooh” and “ahh” over him, except for that one person who is totally jealous of his skills. Don’t quote me on any of that last part, though. According to TVLine, the cast will also include Six Feet Under star Freddy Rodriguez, Rescue Me’s Geneva Carr and The Mob Doctor’s Jaime Lee Kirchner. Another Six Feet Under vet is also involved here, as episode director Rodrigo Garcia was the one behind the camera for the pilot. If the concept of a really smart dude whose name is the show title sounds familiar, it might be because co-creator and executive producer Paul Attansio was an EP on Houseduring its long run. The other creator will also sound familiar, as it’s Dr. Phil McGraw, who can currently be seen on daytime TV giving advice to a ridiculously wide variety of troubled people. The show is actually based on Dr. Phil’s early days when he ran his own highly successful consulting service. They wrote the pilot, but it’s unclear how heavily Dr. Phil will factor into it moving forward. As great as this news is, though, we’ll still have to wait until at least September to get our peepers on Michael Weatherly in his first new leading TV role in 13 years. Thankfully, we’ll get our emotional farewell with DiNozzo on NCIS very soon, and the actor has prepped audiences for it by saying he was surprised by a new angle on the character that he’d never known before. We’re so there. CBS has been making big decisions left and right recently, cancelling and renewing shows at a fast click, while also teasing possible future series. While we’re waiting to see what the network’s fall schedule will look like, check out everything it’ll premiere over the next few months with our TV premiere schedule.